Anyways, here's what I've found, basically speaking. The iPhone 4S is still a great phone. The battery lasts a little over a day with moderate use, and it does everything you could want in a smartphone. Browsing is smooth, games are a joy to play, apps rarely crash, even the 3G network it uses is speedy enough that you'll never find yourself in a fetal position mumbling "I sh-should have gone with LTE" over and over until your indecision-based stress puts you to sleep. I might be a little biased since the 4S is the phone I currently own. Really though, I have used a plethora of devices, including the iPhone 4, HTC DNA, Droid X2, iPhone 5/5C/5S, and Nexus 7, so I think I have a pretty good idea of what to expect from my technology. Could the 4S be faster? Sure. Is the 5C faster? Maybe by a fraction of a second. Literally, I tested it out against my 4S, with both on iOS7, and they felt nearly the same. They even stuttered at the same places (mostly when trying to use the spotlight search feature). Now, the 5S is a bit of a different beast. That phone is a clear upgrade from the 4S, whereas the 5C is more of a sidegrade, with the main benefit being LTE. The 5S' screen really pops, it appears far more vibrant and colorful to my eyes. Additionally, it's buttery smooth. I don't use that buttery term lightly. Using it can best be described as running your hands through velvety feathers, whilst being caressed by fluffy clouds from the land of good feels. In other words, there's absolutely zero lag when doing *anything*. The A7 processor is definitely overkill for iOS7; clearly, Apple designed it to handle future operating systems. If you have a 5S I doubt you'll need to upgrade for three or so years, based on performance alone, of course, you'll probably ditch it for the 6S or what have you anyways. So, what conclusions can we make from all this? The 4S is still a great phone, and while it will probably take a hit in performance with iOS8, it'll be serviceable for at least another couple years. If all you want to do is browse the web, use apps, and play simple games I see no reason why you should feel obligated to buy the more expensive options. The 5C is in a bit of a strange position. It's fast, but not much faster than the 4S, while costing much more. The main benefit is its larger screen (which may be a detriment to some, personally I like the 4/4S form factor better), and the fact that it has LTE. In reality however, LTE feels barely faster than WiFi most of the time, so don't go out and get a 5C for that reason alone. So, I wouldn't suggest the 5C now, either get the cheaper 4S which is basically the same, or spend a bit more and get the 5S, which will last longer. The 5S is a great phone. It's incredibly powerful due to its A7 chip and will probably remain a viable option for several years to come. That being said the 4S and 5C both do a good job of running iOS7 so you might not need all of the juice in the 5S to feel satisfied. By buying the 5S you're really investing in the future, as it'll probably last you well into 2016/17 if you take care of it. I've talked about diminishing returns with technology previously, and the conclusions I made then hold true. Phones just aren't progressing at the rate they used to. 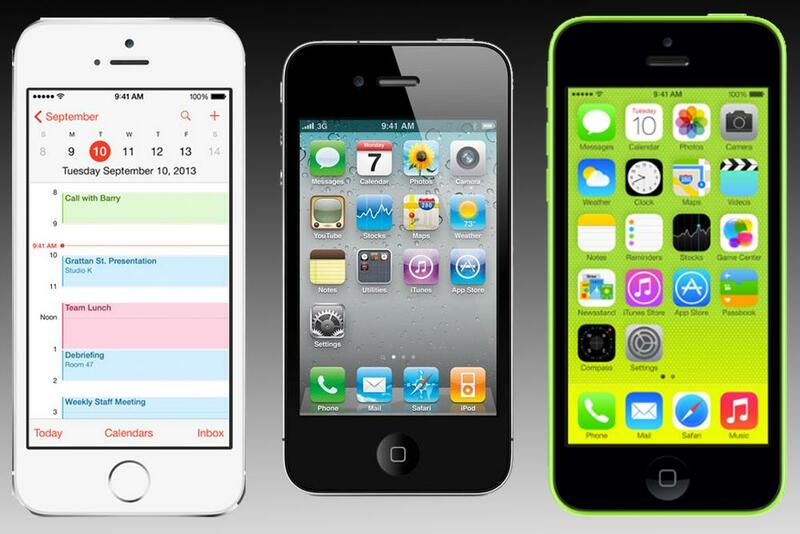 The 6S will be nowhere near the leap over the 5S as the 5S was over the 4S, or the 4S over the 3GS. So I suppose you really can't go wrong with any of these options. They will all survive a two year contract, though the 5S will last you far beyond that if you wish to hold on to it for that long. In today's age of monthly smartphone releases, you may feel the need to continually purchase the latest and greatest. Really though, what was once new a year ago might serve your needs just fine, and you'll save a buck or two while you're at it! Thank you Nick. That felt like an honest comparison of these phones, written in clear no nonsense language and without the endless bickering that goes on with cell phone reviews. No problem! Yup, bickering over smartphones is a bit ridiculous. At the end of the day you can do pretty much anything you could want to do on the majority of them.